A couple in Reading has recently been battling with an old conservatory roof that has rendered their conservatory unusable. 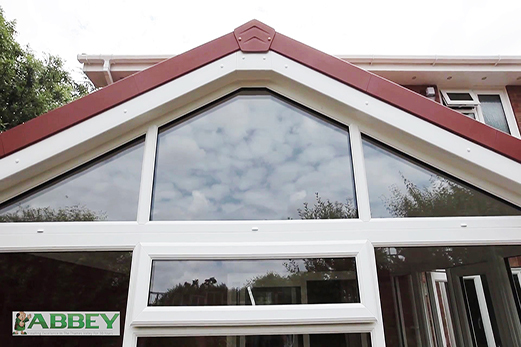 They looked to Abbey Windows to replace the roof, choosing from an extensive range that was perfect for their home. 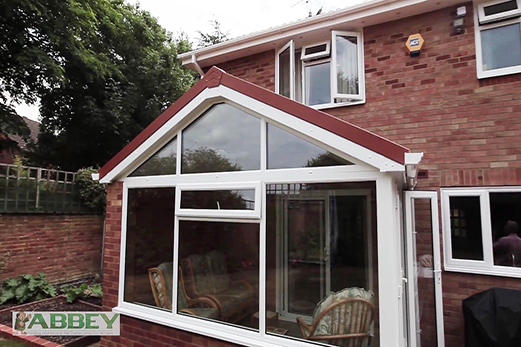 Their choice of conservatory roof meant they were able to use their conservatory all year round. Their home in Reading has been transformed with the unique properties found in the tiled conservatory roof they opted for. Making sure their tiled conservatory roof blends in with the architecture of their home, whilst reducing their energy bills are just some of the benefits they have received upon installation. With quick and easy installation, they were able to get back to their day. An old polycarbonate conservatory roof meant this couple’s Reading home conservatory was left unused for the majority of the year, due to it either being too hot or too cold. With the window of opportunity for using the room slowly decreasing they decided to replace their existing roof with a tiled conservatory roof. A solution guaranteed to keep their home warm. Our dedicated team of experts were on hand to make sure this couple got the conservatory roof they had always dreamed of. With their dream in mind, our team were able to talk through the entire range we offer. 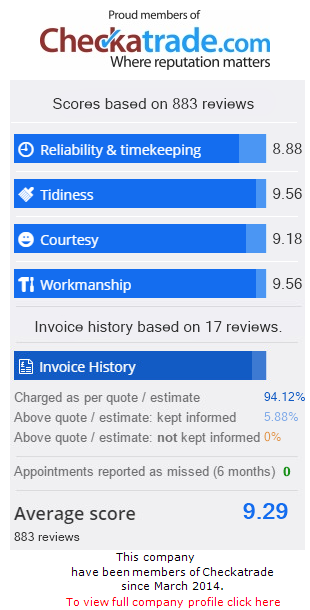 The quote we provided was unbeatable compared to our industry competitors. It was extremely important to the couple that they would be able to use the room through the seasons, without having to worry about changing temperatures. By replacing their old roof with a tiled conservatory roof, they were able to retain their existing conservatory, replacing the roof with hassle-free installation. Our team of installers made sure it blended into the original architecture of their home, giving a seamless finish. They opted for a tiled conservatory roof that expertly combines aesthetics with practicality to produce a high-performance product. This option offers a thicker alternative to their old polycarbonate roof, giving them a more comfortable home despite the weather. Providing an extra layer of insulation on to their home also means they are able to benefit from reduced energy bills. The gorgeous tiles are manufactured using strong materials and the latest technological advances to ensure they are able to withstand any weather condition. The high pitched style this roof offers means you will benefit from an increase in the amount of space inside your home. A common misconception is that some conservatory roofs result in darker rooms. 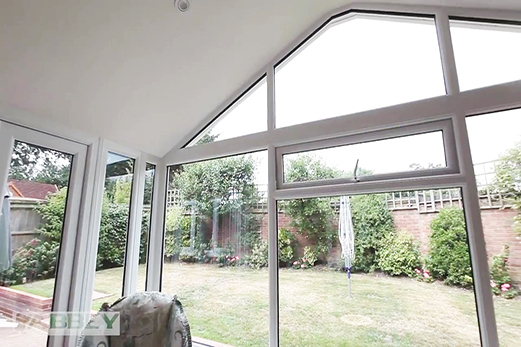 The couple chose to include a gable-end, increasing the amount of natural light that enters their conservatory. The couple decided to work with Abbey to create a space they can use all year round, based on our extensive knowledge and their vision. We were able to design and build a room that they now use all year round, making this home improvement project a huge success! We understand how daunting it can be to find a conservatory roof that is ideal for your home, which is why we are on hand to answer any questions and guide you through the range of offer. To find out more about our range of conservatory roofs, give us a call today on 0118 956 6866 and we will be happy to help. We will be able to provide you with high-quality, tailored advice. Alternatively, you can send us an email online or to sales@abbeywindows.co.uk and we will get back to you as soon as possible. Our team will be on hand to make sure you are happy with your decision before, during and after, keeping you informed of the entire process.